PRAYER PROMPT ••• I’ve woken up approximately 15,513 days, give or take a few mornings. But how often do we take this mundane matter for granted? We grumble about waking up (“Just five more minutes!”) and speak with longing for our beds and desire to sleep. That’s a different topic all together though and we’re focused on the gift of waking up. Our God, who never sleeps, watched over each of us through the night so we could rest, and has given us a new day. And not just a new day to run ourselves ragged. A new day to serve Him. A new day to share the Gospel. A new day to celebrate the gift of life! So we’re not Jerusalem, but let’s re-read with our own name in its place. I hope you’re all doing this and I pray this is as motivating to you as it is to me! If you’ve accepted Christ, His light shines on you and through you! Let it shine and let others see the love of Jesus radiating from you with every word you speak and in all you do. Today, as you pray, first thank God for a good night’s sleep. 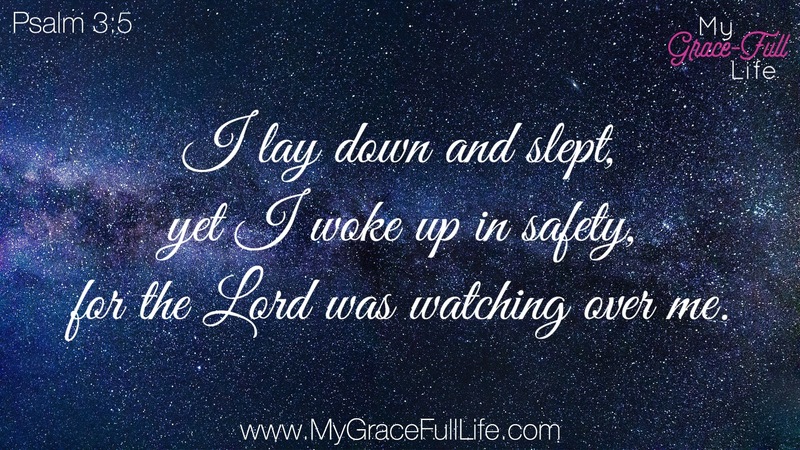 Thank Him for watching over you so you could rest. Even if you’ve done this “wake up” thing thousands, or tens of thousands of times, thank Him for the privilege for a new day to shine for Jesus. another amazing post! I love this and actually do thank him as I wake each morning for another day but I don’t think I’ve imagined him watching over me as a I sleep. What a beautiful thought. Thank you so much for a wonderful way to start each day!